Unlike counseling, which focuses on the past, Empowerment Consulting is centered on the present moment and the countless possibilities for the future. Life Empowerment consulting is designed to help you transform your life in a profound and positive way. You will be asked powerful questions and given the space you need for the answers to unfold. Actions steps will then be implemented and tools will be provided in order to move you toward the life you want. This process begins with a 45 minute, complimentary Discovery Session where your areas of concern, your goals, and changes you want to make will be explored. Once we determine that we are a good fit we will move on to the next step. The Action Plan. Based on the key areas addressed, you will choose (or we will design) a program that will help you move forward. There is a fundamental structure to each program, however flexibility is allowed for changes and shifts as you move through your journey. Typically we will meet one-on-one, 2 to 4 times a month for the duration of your plan. Sessions are 60 minutes in length. Each plan allows for weekly phone sessions, usually 10 - 20 minutes in length. While today we look to a guidance counselor or therapist to help us solve the mysteries of life, relationships and love, or consult a Life Coach to guide us in reaching our goals and making big life changes, there is no one to help us truly understand the essence of who we are. Likewise, counselors are valuable in helping us resolve problems and traumas from our past. But, where can you go to find out, spiritually, why you are here, and what your true purpose in life is? Is there more to your life than the daily grind? Is there a way to know the most beneficial course of action for you? How do you reach true joy and harmony? You have your own personal set of numbers that symbolically represent the vibrations that is the essence of you. Life Empowerment consulting is similar to Life Coaching, however, with an advantage. I use your Personal Numerology Report (PNR) to help you maneuver through your journey with ease. There are always bumps, detours, and blocks in the road, however, with your PNR you will have your own GPS to help guide you around the road hazards. Numbers are factual. There is no guesswork, and no judgment. It is what it is. You are who you are. 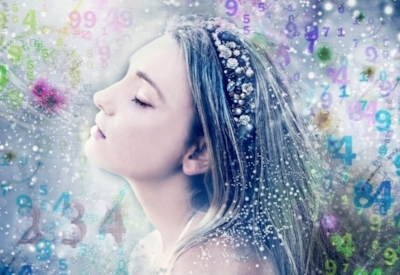 The numbers that make up our birth name and birth date are factual and they mean something. There is much wisdom and insight to be garnered from knowing your personal numbers. Divorce does not have to be a big horrible thing that consumes you. Empowerment coaching can get you unstuck, and help you look forward, define your values and goals, and envision and create what you want for your life after a split. If you’re in the acute stage of grief after a death of a spouse, partner or child, or even a beloved pet, a bereavement counselor or group is often the best next step. This is the time to deal with the shock and coping with getting through each day. When your ready to think about things like; what's next in your life, who you're becoming, or simply need to figure out how to navigate, Life Empowerment Consulting might be your next step. The Discovery Session is always free. You didn't choose this, but you can choose what comes next. Are you stressed, frustrated, bored, feeling stuck, need direction, feel lost? Maybe you simply feel like life could be better. It doesn’t happen by chance, it happens by choice and change. Let’s talk, the Discovery Session is always free.